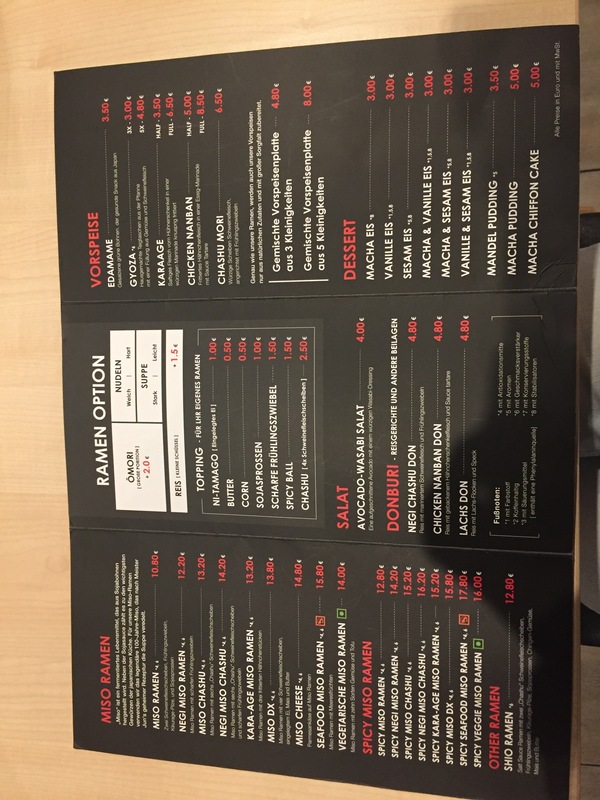 One of the things that tripped me out was the menu. For the most part, I could understand what was on the menu, but the descriptions were in German. Second thing that tripped me out was that practically everyone in the restaurant spoke German, including the handful of asians in the restaurant! 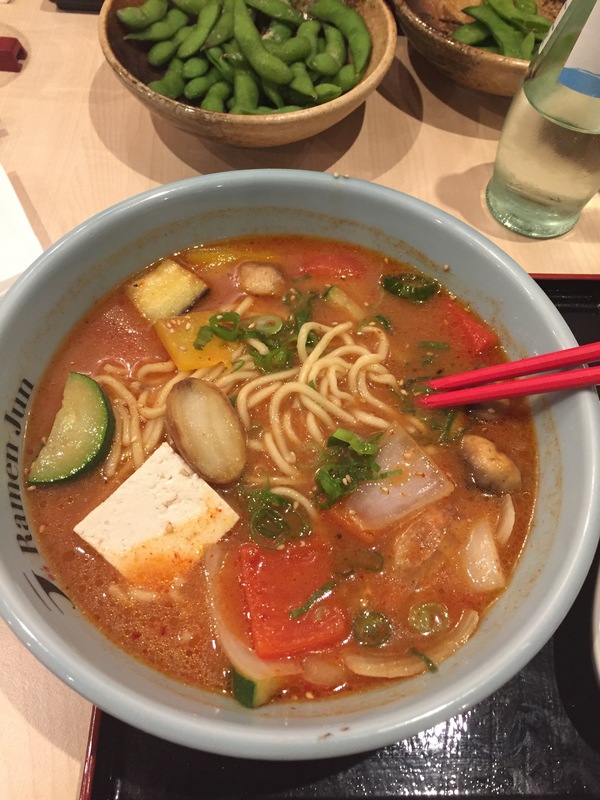 I ordered the Vegetarische (vegetarian) Miso Ramen and Marius ordered the Spicy Veggie Miso Ramen. 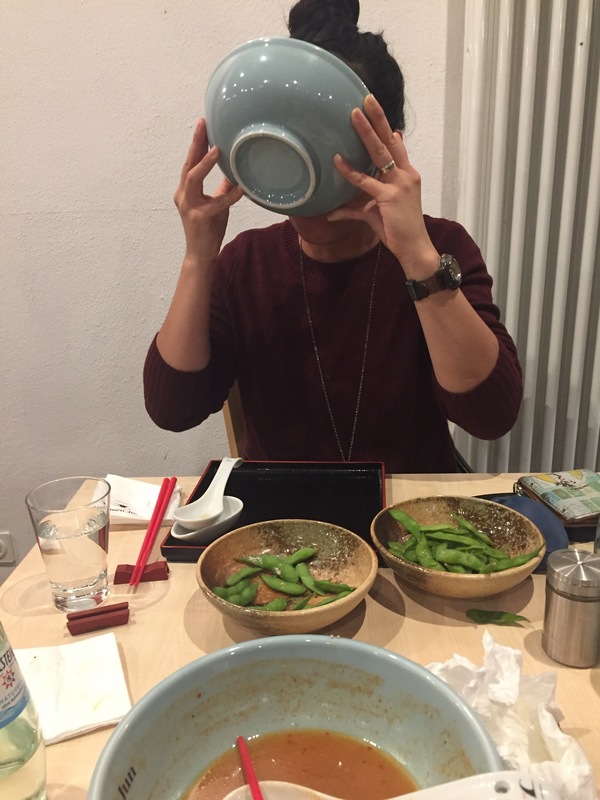 Standard ramen eating photo pose. 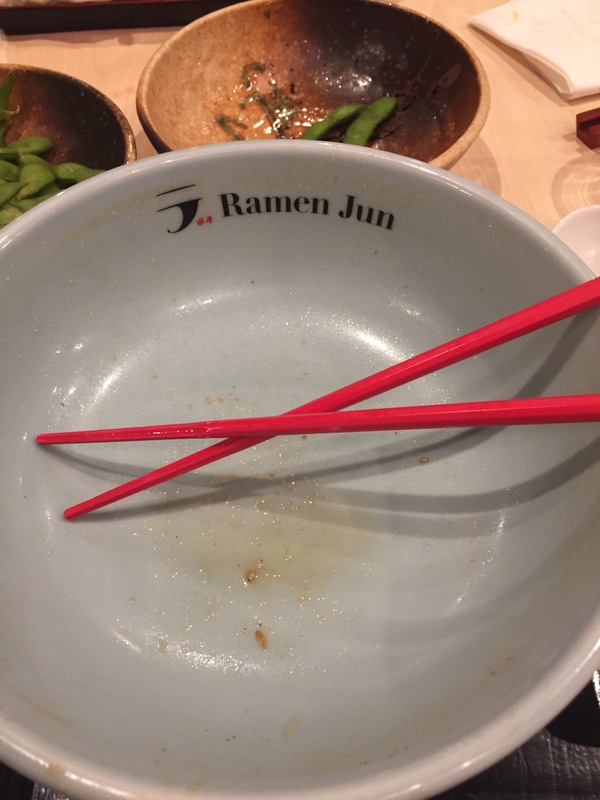 Overall, I thought my ramen was surprisingly delicious despite the expectation I had of ramen in Germany. 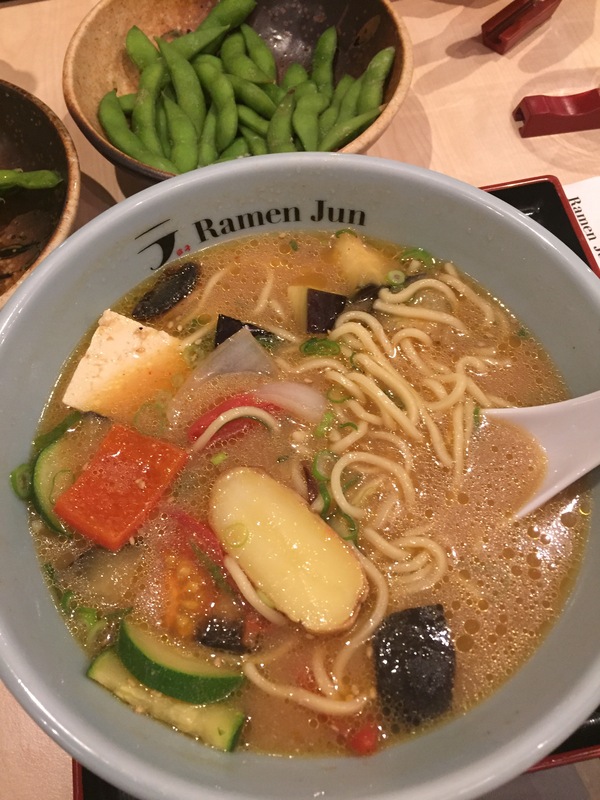 The broth had a savory miso flavor, the toppings, including the potato, worked really well. 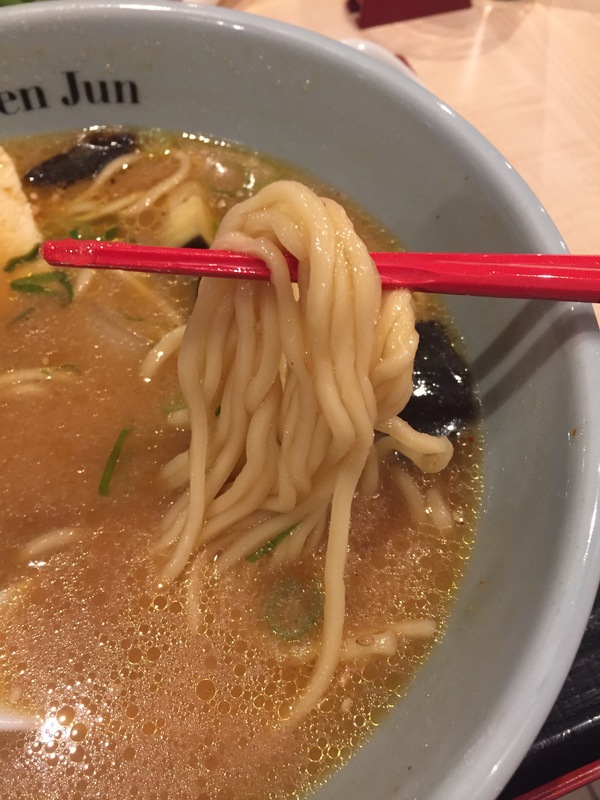 I wasn’t too excited about the overly-chewy noodles sticking together. Marius thought his was okay. 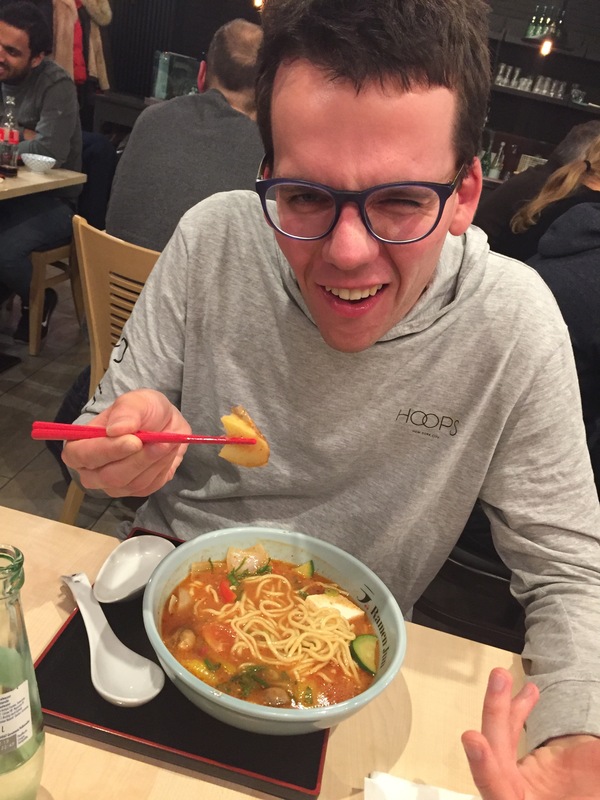 He felt that it was just a spicy tomato soup without Japanese flare to it. I had a taste of his broth and I guess I could agree. 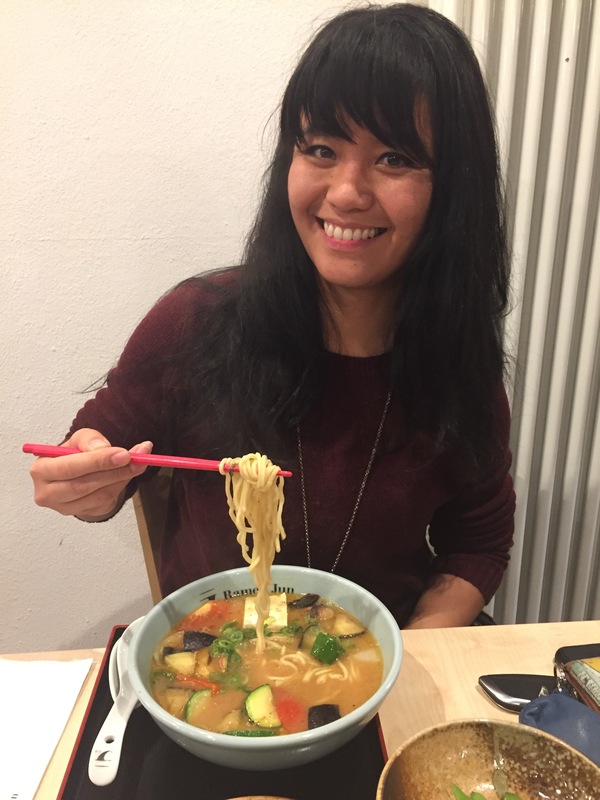 For a random ramen spot in Frankfurt, Germany, this place wasn’t so bad. Would I go back? I would probably give their other branch a try (also in Frankfurt) before I decide if I’d go back to this one. 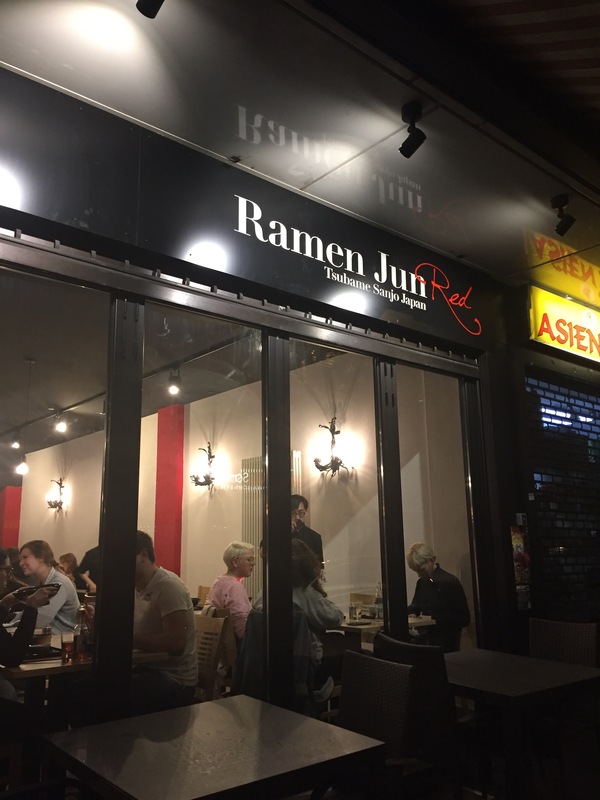 But I felt my mission accomplished, to find ramen at a country I have never been before and can add to my list of ramen joints for you to explore. We found parking at a structure nearby. 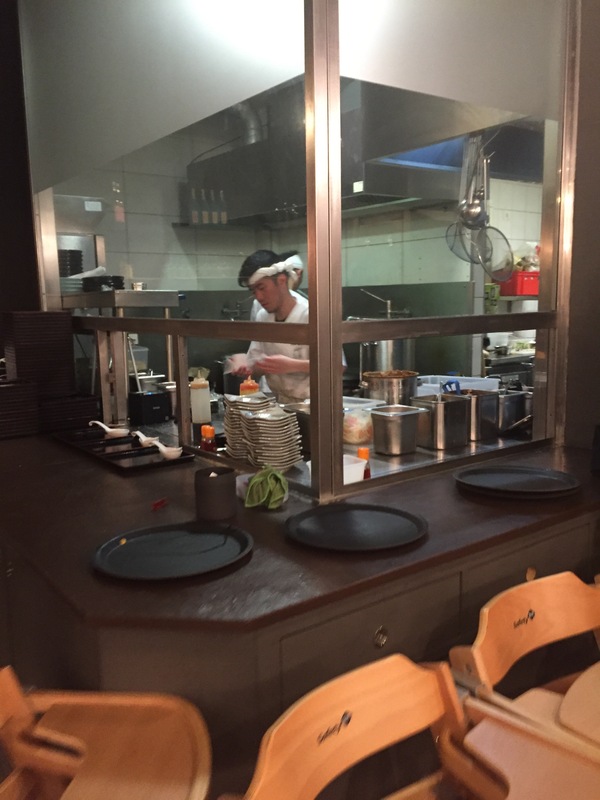 The restaurant is located just around the corner from a big shopping mall.